Well no, I didn’t of course but let’s not let the facts get in the way of a good story. I am Irish. The story is everything. What happened was – I spent some of Saturday evening in a Star Wars themed hotel room in Brighton – Lord Vader’s Quarters, no less. I know! How cool is that? One of the few down sides about living in Brighton is that you don’t get to stay in Brighton hotels any more. Which is a shame because they are usually good fun places to hang out. None more so than the legendary Hotel Pelirocco, which has just opened the aforementioned Star Wars-themed room. My friend Dolly was staying there on Saturday night, so like the ultra nosy geekhound that I am, I went round for a neb at the facilities. 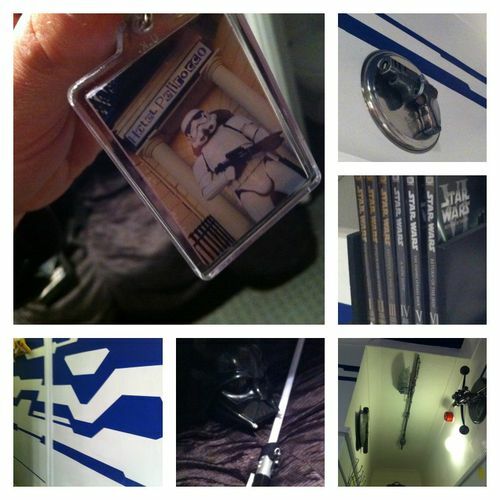 It’s stuffed with Star Wars memorabilia and comes complete with DVDs of all six films. There is no Princess Leia outfit for playing Check out my Millennium Falcon, but the room does come equipped with a Darth Vader outfit and lightsaber for playing Who’s the Daddy? Lord Vader’s Quarters at the Hotel Pelirocco in Brighton is available to book from £59 and sleeps 1-2 people in bunk beds. 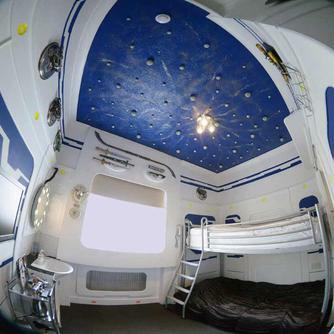 Star Wars bunk beds! I know! 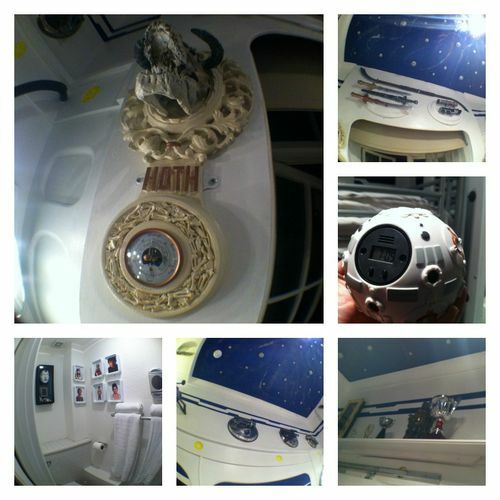 Subsequent to this visit, we did get to spend a night in the Star Wars hotel room, so here are some more details and pics.